The Catholic, Jesuit principle of cura personalis, which means “care of the whole person,” suggests individualized attention to the needs of others, distinct respect for unique circumstances and concerns, and an appropriate appreciation for singular gifts and insights. This is the founding principle of Georgetown University Medical Center, and has special resonance for the scientific and educational missions of the university. Every year at the Annual GUMC Convocation, the Cura Personalis Award is bestowed upon a health professional who has made outstanding contributions to human health guided by compassion and service. 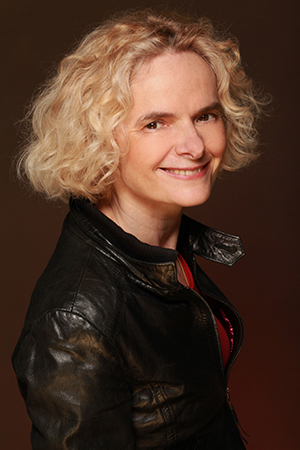 This year’s awardee is Nora D. Volkow, MD, director of the National Institute on Drug Abuse (NIDA) at the National Institutes of Health, a position she has held since May 2003. NIDA supports most of the world’s research on the health aspects of drug abuse and addiction. Volkow’s work has been instrumental in demonstrating that drug addiction is a disease of the human brain. As a research psychiatrist and scientist, Volkow pioneered the use of brain imaging to investigate the toxic effects and addictive properties of abusable drugs. Her studies have documented changes in the dopamine system affecting, among others, the functions of frontal brain regions involved with motivation, drive, and pleasure in addiction. She has also made important contributions to the neurobiology of obesity, ADHD, and aging. Volkow was born in Mexico, attended the Modern American School, and earned her medical degree from the National University of Mexico in Mexico City, where she received the Robins award for best medical student of her generation. Her psychiatric residency was at New York University, where she earned the Laughlin Fellowship Award as one of the 10 Outstanding Psychiatric Residents in the USA. Volkow spent most of her professional career at the Department of Energy’s Brookhaven National Laboratory (BNL) in Upton, New York, where she held several leadership positions including director of nuclear medicine, chairman of the Medical Department, and associate director for life sciences. In addition, Volkow was a professor in the Department of Psychiatry and Associate Dean of the Medical School at the State University of New York (SUNY)-Stony Brook. Volkow has published more than 680 peer-reviewed articles and written more than 100 book chapters and non-peer-reviewed manuscripts, and has also edited four books on neuroimaging for mental and addictive disorders. During her professional career, Volkow has been the recipient of multiple awards. In 2013, she was a Samuel J. Heyman Service to America Medal (Sammies) finalist and was inducted into the Children and Adults with Attention-Deficit/Hyperactivity Disorder (CHADD) Hall of Fame. She was elected to membership in the Institute of Medicine in the National Academy of Sciences, received the International Prize from the French Institute of Health and Medical Research for her pioneering work in brain imaging and addiction science, and was awarded the Carnegie Prize in Mind and Brain Sciences from Carnegie Mellon University. She has been named one of Time magazine’s “Top 100 People Who Shape Our World,” “One of the 20 People to Watch” by Newsweek magazine, Washingtonian magazine’s “100 Most Powerful Women” in both 2015 and 2017, “Innovator of the Year” by U.S. News & World Report, and one of “34 Leaders Who Are Changing Health Care” by Fortune magazine. Volkow was the subject of a 2012 profile piece by CBS’s 60 Minutes and was a featured speaker at TEDMED 2014.